A lot of people are obese nowadays and it could affect their health seriously . If your BMI is more than 30, you are considered obese. You can refer to the following range of BMI values for your weight status. 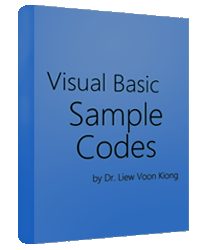 This BMI calculator is a Visual Basic program that can calculate the body mass index, or BMI of a person based on the body weight in kilogram and the body height in meter. 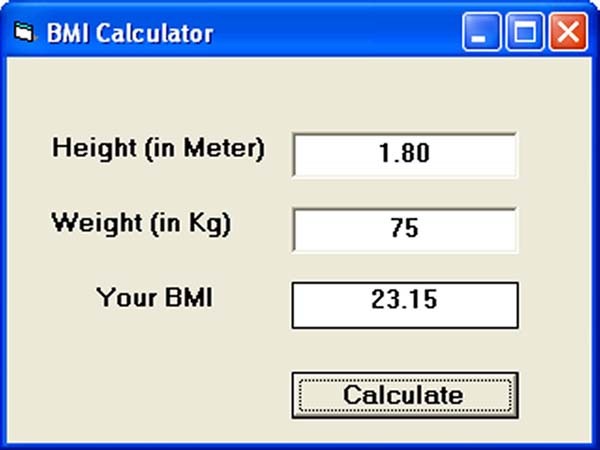 BMI can be calculated using the formula weight/( height )2, where weight is measured in kg and height in meter. If you only know your weight and height in lb and feet, then you need to convert them to the metric system.